Click to learn more about each Staff member. Award-winning Jewish composer and musician Rebecca Wolpert Schwartz became the Cantorial Soloist at Congregation Kol Ami in September 2008. An internationally acclaimed singer, guitarist, songwriter and performer, she has specialized in integrating song with the worship experience, amplifying the power of prayer through music. Congregants have come to appreciate Rebecca’s musical leadership and ability to create “a landscape for prayer.” Members enjoy singing along to familiar Jewish favorites as well as many of Rebecca’s original songs. Rebecca also directs Kol Ami’s Adult and Student Choirs, teaches music at the Religious School and Early Learning Center, and tutors students and adults in Torah and Haftarah trope (chanting). Under Rebecca’s direction, Congregation Kol Ami released two CDs featuring Rebecca and the Adult and Student Choirs. They include Shir Shabbat: The Music of Shabbat at Congregation Kol Ami, Volume 1 and Chai Lights from the Voices of Kol Ami, 18th Anniversary Edition. 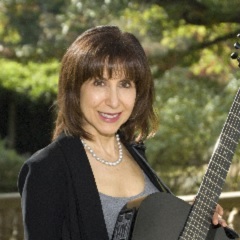 As an independent songwriter and performer, Rebecca has written and produced four albums of Jewish music and an album of secular music, along with two songbooks. Her songs can be heard in synagogues and homes worldwide, and her “Modim”, “Or Chadash”, and “Y’did Nefesh” have been published by the Union for Reform Judaism. Rebecca also has written and recorded songs to help teach autistic children. Rebecca’s compositions “Y’did Nefesh” and “Birkat Haneirot” both received awards at Shalshelet’s First International Festival of New Jewish Liturgical Music in November 2004. In May 2008, Rebecca was chosen to perform in the First International Jewish Music Competition in Amsterdam. She has also presented musical workshops and performed at major Jewish conferences in North America. Rebecca is a published author featured in “Music, Carrier of Intention in 49 Jewish Prayers”, published by Kimberly Burnham and Elizabeth W. Goldstein. Sixteen of her songs are featured in “The Jewish Path: A Concise Guide & DVD Bringing Judaism to Life”, written by Rabbi Wendy D. Pein and Nancy J. Freedberg. Rebecca resides in Jenkintown with her husband, Joel. They have two sons, Jeffrey and Eric. 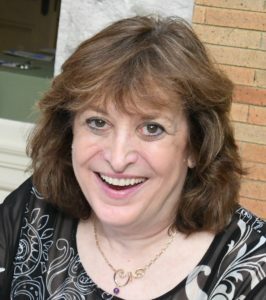 Executive Director Elaine Stevens probably knows more about the history, organization and daily functioning of Congregation Kol Ami than any other individual. This is in part because Elaine has been with us since the beginning. It is also because of her unwavering dedication to the synagogue and its members. Elaine served as a founding Board member of Kol Ami from 1994 through 2003, during which time she served several terms as treasurer. As such, she was challenged with setting up the young synagogue’s initial financial structure. Elaine, whose background included extensive administrative work, became Kol Ami’s first Executive Director in 2003. Her position was made full-time shortly after we secured our building. Although one might not envision Elaine as a thrill seeker, it was the challenge of creating something new and the anticipation of the reward that initially drew her to Kol Ami. Throughout her tenure, she has helped the synagogue stay on course, from its early days as “wandering Jews” to its growth into a URJ-affiliated congregation with a large campus, a K-12 Religious School and a full schedule of programming for members of all ages. Kol Ami’s commitment to creating and maintaining an intimate and involved Jewish community is what continues to inspire Elaine’s work at Kol Ami. As Executive Director, Elaine is the gatekeeper of the calendar and involved in just about every aspect of the synagogue’s functioning. She has chaired or been a volunteer on so many Kol Ami committees that it would be more efficient to name those on which she hasn’t served. When Elaine does take a break from Kol Ami, her passion and first love is being an equestrian and enjoying time with horses. She is also a dog lover and the most popular dog sitter at Kol Ami. Susan Levey comes to Congregation Kol Ami with a celebrated and decades-long career in religious education. Susan proudly held the title of Educational Director of Beth David Reform Congregation for 25 years. In those years, she dedicated herself fully to the Jewish education of her students, the involvement of parents, the support of her faculty, and the educational enrichment of the entire congregation. She is looking forward to bringing that passion and experience to Congregation Kol Ami. Prior to her tenure at Beth David, Susan worked as Assistant Director of Education at Congregation Rodeph Shalom, where she also held the positions of Religious School Principal and Hebrew Curriculum Coordinator working at both the Center City and Elkins Park Campuses. Before moving to Philadelphia, Susan taught in religious schools in Ohio, Illinois, and Missouri and was voted Teacher of the Year several times. She has also written many curriculum strands and faculty guides, including the innovative “Educator in Residence” and “PALS — Parents as Learners System” programs. Her overall core values view Jewish education as the vital and crucial link to connecting families and congregation. 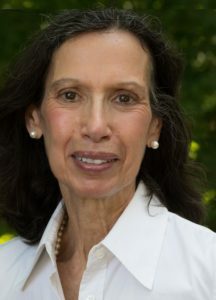 Susan is a member of Association of Reform Jewish Educators, Association for Curriculum Development, and served as an Interfaith Chaplain for many years at Abington Hospital. Susan received her bachelor’s degree in psychology and a master’s degree in counseling and theater from Sothern Illinois University. She has two daughters and six grandchildren and lives down the street from the Congregation! With support from Rabbi Holin, Neal has presented several d’var Torahs at Kol Ami in the past few years. Last year he helped organize an event featuring representatives of the Parents Circle-Families Forum, a joint Palestinian-Israeli organization of families who have lost loved ones in the Middle East conflict. Their stories of loss and renewal moved all who attended. Neal graduated from Haverford College with a Bachelor of Arts degree, and Bryn Mawr College with a Master of Social Service. Neal has been a member of Kol Ami since 2007, along with his wife Ann and their two children, Isabelle and James. They chose Kol Ami because of its warm, friendly atmosphere, and its welcoming attitude toward interfaith couples. Neal and his family live in Elkins Park. In his spare time, Neal enjoys camping with his family and reading. There are not many people who can say they love their work after 30 years on the job, but Sheri Cutler can. Sheri is director of Federation Early Learning Services (FELS) Early Learning Center at Congregation Kol Ami, and she is overflowing with unbridled enthusiasm about what she does. “I love the kids, the families and the community,” she says. Kol Ami’s move into Rodeph Shalom’s former suburban campus in 2006 offered the synagogue its first opportunity to house a nursery school. Familiar with the stellar reputation of Rodeph Shalom’s nursery school and its director – Sheri – Kol Ami found it an easy decision to negotiate to take over the school. Sheri stayed on as director and became a member of Kol Ami. Sheri always wanted to work with small children. She graduated from American University with a degree in early childhood and elementary education. While still an undergraduate, she ran a nursery school for the children of the university professors. Sheri and her husband Jonathan have two children: Jesse and his wife, Rachel, and daughter, Julie. Joyce Clark is an assistant teacher. Joyce is married and has four grown children. Barbara Cohen is an assistant teacher in the three year old class. Barbara is married and has two grown children. Sherry Cohen is the lead teacher in the three year old class. Sherry is married and has two daughters. The family is also active members of Congregation Kol Ami. Jennifer Perry is the lead teacher in the toddler class. Jennifer is married and her two children became a Bar and Bat Mitzvah at Congregation Kol Ami. Alexis Snyder is the lead teacher in the four year old class. She enjoys spending time with her family, baking, listening to music and playing the piano.